One day Max is playing on his tablet when all of a sudden ATISCHOO! Max sneezes his way into his favourite game, World of Slime. 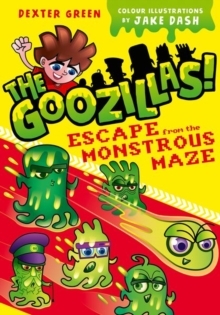 There he meets a gooey crew of characters called the GOOZILLAS. This gang of slime-balls needs Max's help. Their world is being invaded by a sweet and fluffy group of adorable pets called the Sicklies - YUCK! But these cute critters aren't as sweet as they seem, and won't be easily defeated. 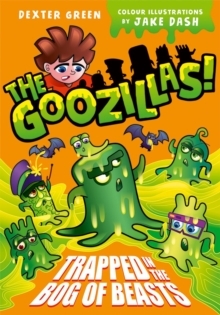 Max visits the World of Slime for the second time and finds himself trapped in the MONSTROUS MAZE. To defeat those evil Sicklies he'll have to make his way through the moving corridors of the LUMPY LABYRINTH, avoiding the SPOOKY GHOSTS. Exciting adventures illustrated throughout in full colour, perfect for young readers. Dexter Green is a pseudonym for Barry Hutchison. Barry is the author of over sixty books for children, including the Invisible Fiends series, and also Angry Birds, Skylanders, and Ben 10 books.